Fun Friday Sewing with Friends! 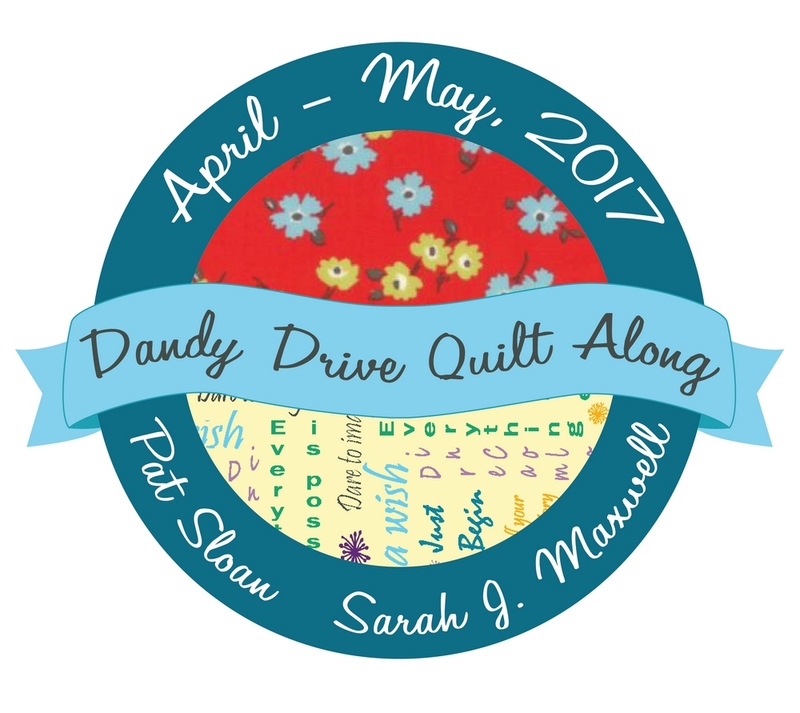 Dandy Drive Quilt Along! 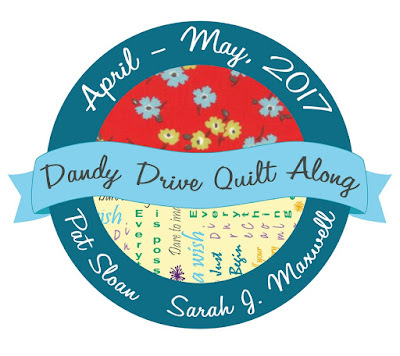 Today is Day ONE of the Dandy Drive Quilt Along! You can get the free pattern for this fun Quilt Along by visiting Sarah J. Maxwell's blog here! It has been a while since I have participated in a Sew Along. Pat Sloan and Sarah J. Maxwell invited me to join in with a great group of sewing friends to stitch up some Spring inspiration! I hope you will join in on the fun too! The first blocks we will be working on are these sweet flowers! I adore the vintage feel to them and think they would also be amazing in super bright fabrics or Amish inspired darks! The nine patch we are working on are so sweet! 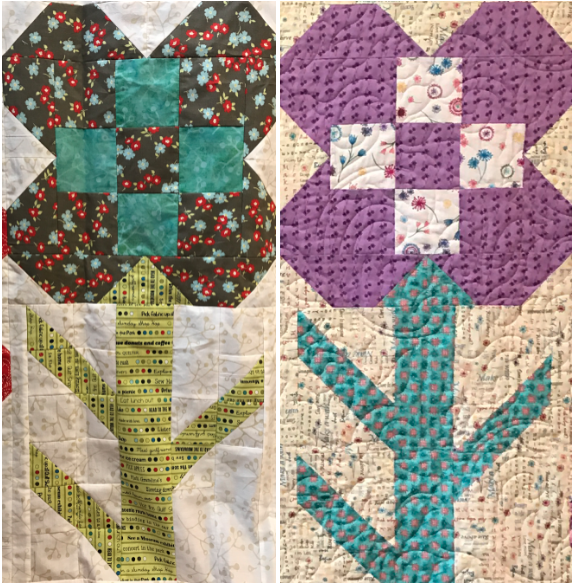 My inspiration was pulled from some vintage blocks in my sewing room. Liberty of London lawn prints and Painter's Palette cotton solids were my vintage looking choices! To get perfect seam matches, I always nest the seams first, butting them right up together. Then use a FAB trick I learned from Sharon Holland! Put your pin at a diagonal through the seam. You can get right up close when sewing without having to remove the pin and without losing the nesting! I love this trick so much! It is a complete headache saver! Aurifil 50 wt is the thread I will be using for all of my piecing. It is the perfect piecing thread with less lint and thin so all of my seams lay flat! We had loads of thunderstorms so the sewing was placed on hold throughout the day. I was able to pop six of these centers out rather quickly once I started! The sun peeked through the clouds before he next storm came, just in time for me to capture the lovely colors! 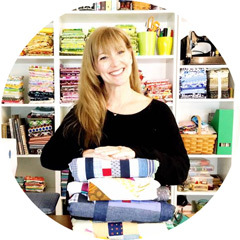 Please take time to drop by all of the participants ( and friends) in this sew along to grab inspiration in fabrics, color, tips and just pretty photos! 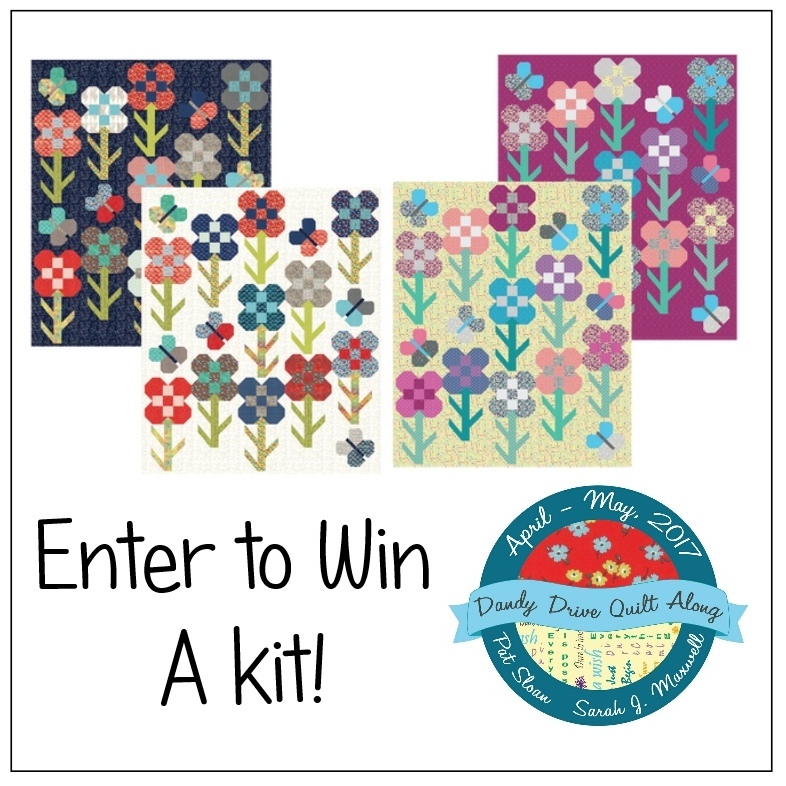 And there just CANNOT be a quilt along without a GIVEAWAY! This one is pretty AWESOME! 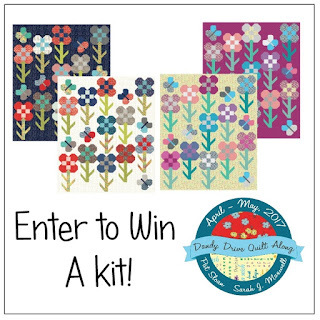 Go to Sarah's blog and enter to WIN this Quilt Kit! To enter for the chance to WIN, please visit here! Thank you for joining in on the sewing fun! It is always more exciting to sew with friends! have downloaded all the info re this and will have a read later think I will be unable to resist though I have said no new projects! I am so excited to join this quilt along! I'm picking fabric out fabrics & making the nine patch blocks today. I love the solid color fabric choice you have in your blocks & think I may do the same, so pretty!